Sochi is THE WORD of today. Sochi is in the news, Sochi is the most frequent word in my Facebook thread, Sochi is the theme of most conversations. I am in Russia, but I am not in Sochi now and I have never been to Sochi. And none of my friends are in Sochi now- the trip would be too expensive even for people from my social circle. 34 years ago our country was also preparing to welcome Olympic Games. Difference between 1980 and 2014 is as big as the difference between winter and summer Games, if not bigger. XXII Summer Olympic Games took place in a country called USSR, while XXII Winter Olympic Games are about to take place in Russia. Political system has changed. Economic system has changed. Let’s look at the differences and similarities between these two events. 1980 was a year when USSR military troops entered Afghanistan. That resulted in a boycott of the Games from all NATO countries. Sadly, political relationship between Russia and the West now is also very tense, mostly due to human rights issues such as minority rights and adoption rights. On the positive note – at least these Games are not boycotted. We expect teams from US and other western countries, without you Games would’ve been incomplete. Hopefully Olympic Games will be a break from politics and a triumph of sport! Conducting Summer Olympics in Moscow was quite logical. Despite a popular belief, Moscow is not covered with ice 365 days a year. Our summers are quite pleasant, typical temperatures for July and August are around 25 C (77 F). Conducting Winter Olympics in Sochi was quite an interesting geographic choice. Do you know that Sochi is located in sub-tropics and has a humid subtropical climate with mild winters (average 11 C (52 F) during the day and 4 C (39 F) at night in the period from December to March? 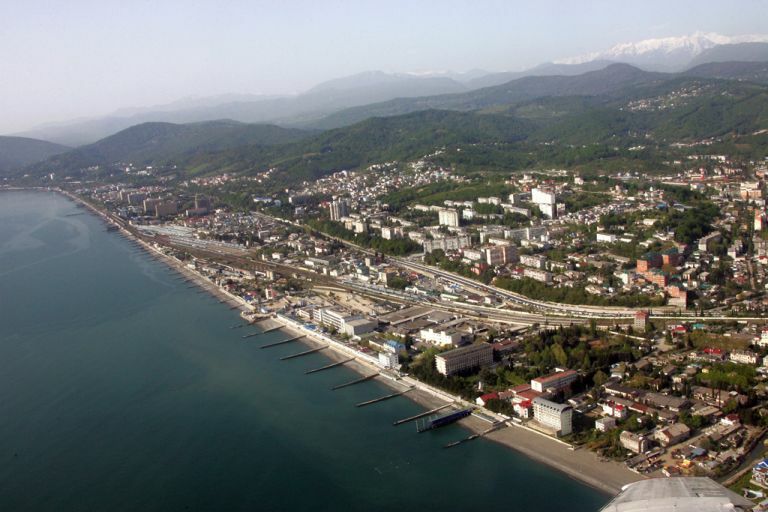 Sochi area is very unique; it has both the sea and the mountains in close proximity to each other. Since that is subtropics, there were good chances of snow shortage by the Games time. Some snow was actually stored from last year’s winter and hundreds of snow canons were installed on ski slopes. Good thing weather is in our favor – this winter is a snowy one in the area, so everything goes well. Preparation for the Olympic Games takes a lot of time and effort in any country. I was in Turin in 2004 on a press tour to see how the city prepared for the Olympics. Changes that have to be made prior to the Olympics are profound and building Olympic stadiums is just a top of an iceberg. Typically, there is an overhaul of the entire infrastructure and many positive changes in life of the locals. At the same time, hosting Olympics comes at a great cost. There should be a very good reason – why this particular country/city needs to host the Games at this particular time. For Turin, the main reason was Destination Marketing. Tourists visited Rome for sightseeing and Milan for shopping; Turin was always neglected. The Olympics were a great news cause to put Turin on the cognitive map of awesome touristic destinations. Moscow did benefit a lot from new sport stadiums and upgrade of infrastructure, plus there were reasons of prestige and influence. With Sochi, the answer is less straightforward. In my opinion, Power& Influence were the main drivers. 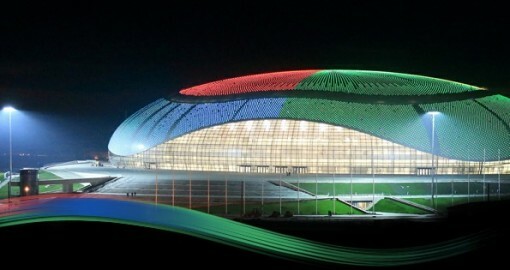 And although Russian sport teams will benefit from having new state-of-the-art training arenas even after the Games, preparing for the Olympics was super costly (in a big part because of the corruption), took a heavy toll on the country budget and on the environment of the region. And many locals were kicked out of their houses and lost their properties if they were on the way of the construction. Despite seeing all the bizarre Sochi bathroom pics on the Internet, I must admit that a lot has been done and super stadiums have been built. It is difficult to say how many stadiums, since they are integrated in clusters, but in the next several weeks you will hear about Fisht and Iceberg and other stadiums a lot. 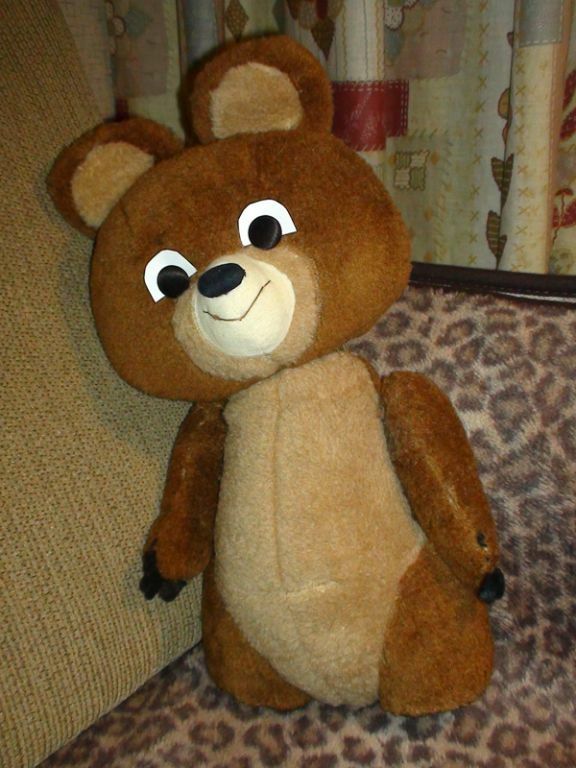 As for Moscow Olympics 80’ – that stats is easy – 78 Olympic objects. Why so much unfinished work – partially because of the amount of construction, partially because of poor management. Also, Russian mentality and procrastination go along – a lot was done in the last several months. That is probably the most pressing issue for Sochi Olympics now. I sincerely hope that the Games will be safe for everybody, but terrorist threats have become real since Munich Games and are still present. I know that all forces are brought to diminish the risks. Moscow Olympics was after Munich and security was also a huge issue. Officials worked on that issue for 5 years prior to the Games. They not only checked all Olympic objects, but also made sure Moscow was free from any potential criminals prior to the Games. Even people, who did not work (which was a crime in USSR) were asked to leave the city. And rumors are that officials had secret meetings with criminal heads and made a pact that the city will be safe during Olympics (there were zero apartment robberies during those weeks for example). 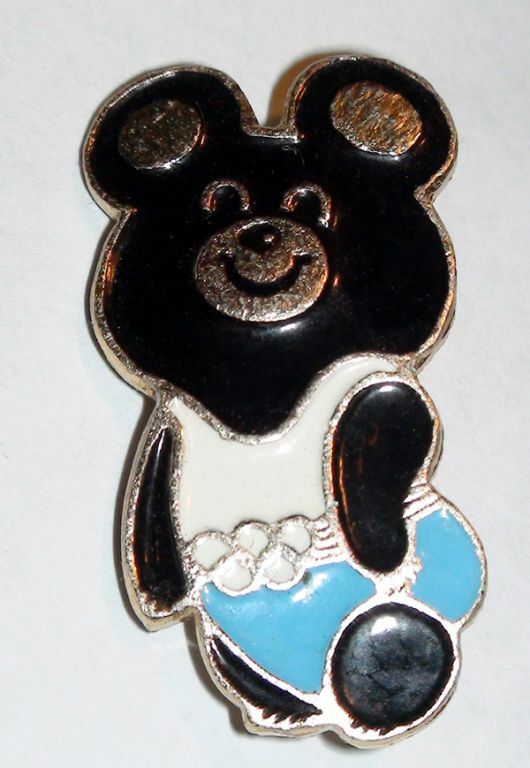 Symbol of Moscow Olympics 80’ was one of the cutest symbols of Olympics ever. Olympic bear Misha won hearts of people. And his departure at the closing ceremony was definitely the most touching moment of the Games. Sochi Olympics has 3 symbols. I do not know why 3, but it looks like having several Olympic symbols has become a trend in the last decade. One of them is a bear, less cute than Misha, but ok. The second one is a hare; ok too, we have plenty of hares in Russian forests. The third symbol leopard seemed like a random choice, but I learned that there used to be snow leopards in the area. 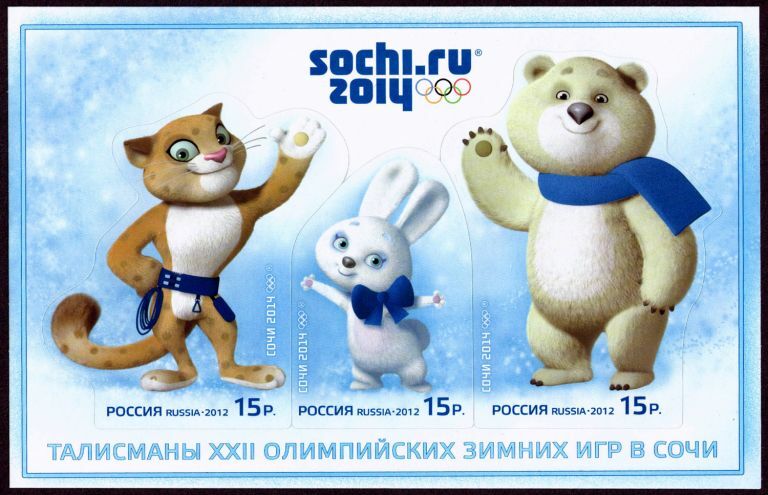 Sochi Olympic mascots were chosen from zillions of drawings by people’s voting, so I should not really complain that I do not find them cute. Maybe they will shine at the Games and we will get to love them too. The Olympics 80’ brought total revolution to Russian TV. 100 new TV commentary booths were build, most of them btw were launched only days before the event. All equipment was upgraded. In addition to implementing the technical innovations, there was a lack of professional sport TV operators and directors. None of the schools prepared for that niche profession – sports TV professionals. What was done – “headhunters” searched across the entire country to find skilled TV professionals, who also happened to be professional sportsmen and knew a particular sport inside out. Headhunters succeeded in that and the media coverage of Moscow Olympics was very innovative and profound. At present, Russian media is technically sophisticated, so we can expect enjoyable coverage. Most people will watch the Opening and Closing ceremonies and their favorite sports. Hockey, biathlon and figure skating are probably the most favorite sports. I am personally interested in skiing and figure skating + of course the Grand Gala Ceremonies. Some of my friends take vacation for ALL Olympic days to stay at home and watch the entire broadcasting. Some people will just watch the news and count the medals of Russian Olympic Team. I hope that the Games in Sochi will be a great sport event and both people, who will be in Sochi and TV audience from all over the world will have a great time! I also hope that there will be a moment as touching as the moment in 1980, when Misha bear was flying into the sky! And of course, I want the Russian team to bring a lot of gold! ← Is It Always Very Cold in Russia? Tanya, is one of the Sochi game “symbols” a snow leopard (снежный барс или ирбис) or a regular leopard? I would understand why a snow leopard would be chosen, but a regular leopard? Hmmm…. Katya, you are right – of course it should be a snow leopard, but it is difficult to tell exactly from his looks :) Watching the Opening Ceremony right now, they just showed all the mascots! National Geographic also wondered, which of the leopard species became one of the Sochi mascots and why at some point the leopard on Sochi’s promotional materials went from being a white snow leopard to a more generic tan one. I had no idea, but Russia has historically been home to multiple species of leopards, including the Persian leopard (Panthera pardus saxicolor), which once inhabited the Western Caucasus around Sochi.